Pearl Anarchy Cowbell Black 10 X 3.5"
Have Questions? Call our experts for product info and phone-only specials. Or click here to chat now. 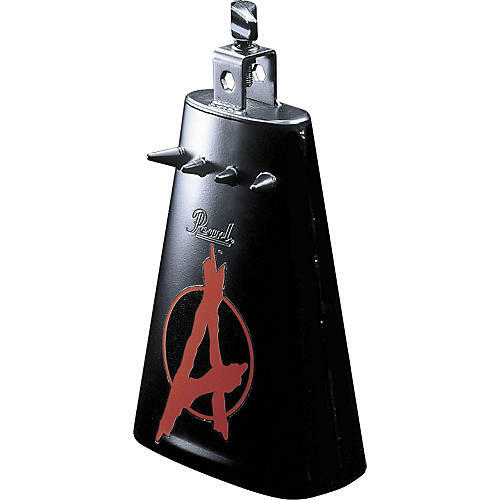 A cowbell that looks as aggressive as you sound. The Pearl PCB20 Anarchy Cowbell's fully welded seams fuse this black steel monster into one loud beast! Power flange for saving your sticks, metal spikes, and the blood red Anarchy symbol completes the ferocity of this eye-catching and ear splitting percussion instrument. Play up a storm with the anarchy bell. Order today.